I just found this great game at Mrs. Lee's Kinder Kids. 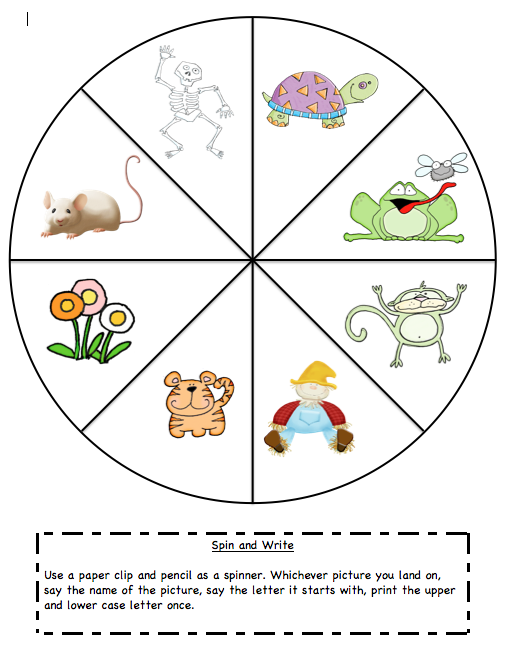 I loved it so much I was inspired to make my own (after checking with Mrs. Lee :)) It's a spinner game to help the kids review their letter sounds and practice printing their upper and lower case letters. 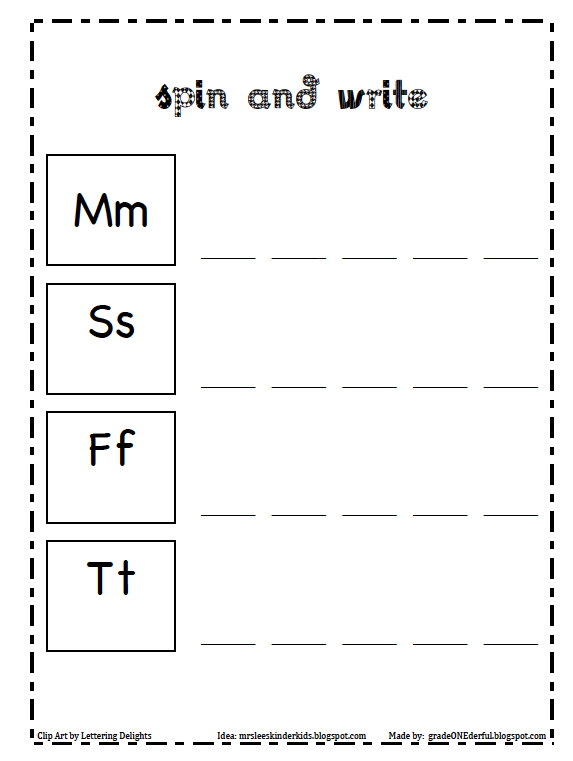 I'm going to make some more so that I've included all the sounds, and I'll be tying it into the McCracken spelling/phonics program (anyone heard of that? An oldie but a goodie). Update: I've now made the spinners for all the letters! I have used and recommended McCracken's approach to phonics forever....it was a forerunner to the new emphasis on phonemic awareness. Thank you for sharing your "onederful ideas"...teaching in small town Saskatchewan I find your ideas inspiring and very motivating for our students. Hi! Thank you VERY much for the lovely compliment :)) Can you see my big smile? Take care. You're VERY welcome, Julie. You have an amazing blog!! Yes, I remember the McCracken program! Haven't thought about it since the mid 90's. I used it when I did Title One instruction. Great program, it's tried and true. Thanks for your super ideas! Your blog just gets better and better. Aww, thanks for the sweet comment, Dee!